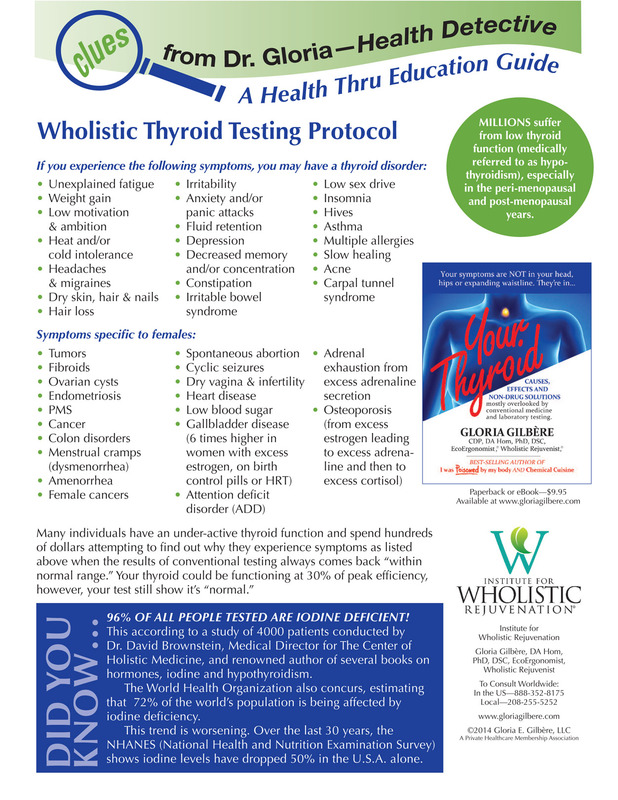 So many of you have asking for the electronic file I created for my students of Wholistic Rejuvenation and my clients showing how to safely test your own thyroid levels at home. I'm including the link here for your reference. Keep in mind that even if you are currently supplementing with iodine for your thyroid, if it's not in a natural bioavailable form, your body is not able to convert the supplement into useable energy. Yes, your blood work shows your thyroid function, "within normal range" but, in my opinion, that's simply because you're taking a supplement and it's in your blood...that doesn't mean your body is able to use it. 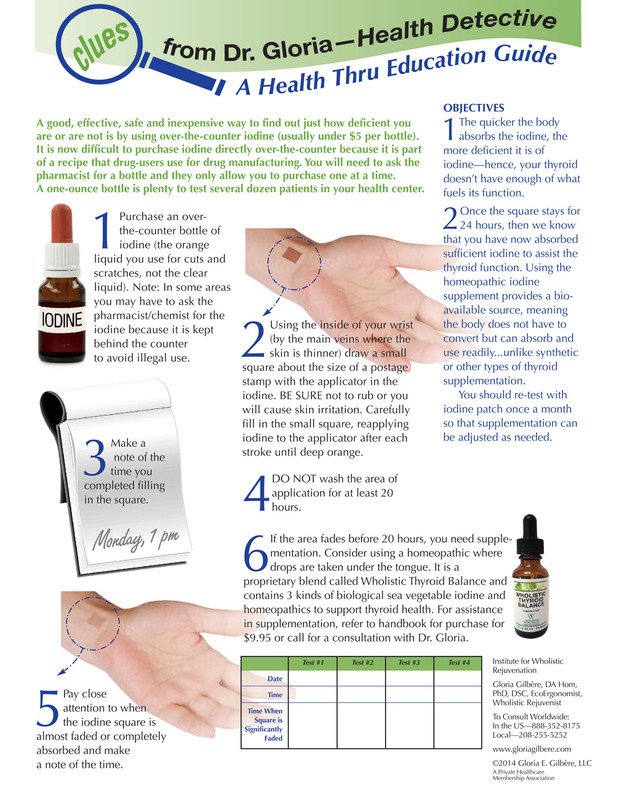 Click the links above to view the entire self-testing protocol; this material is copyrighted. Do not test more than once a month but keep a written note of the time your test lasted as instructed. DO NOT do this test if you're allergic to iodine or shellfish.